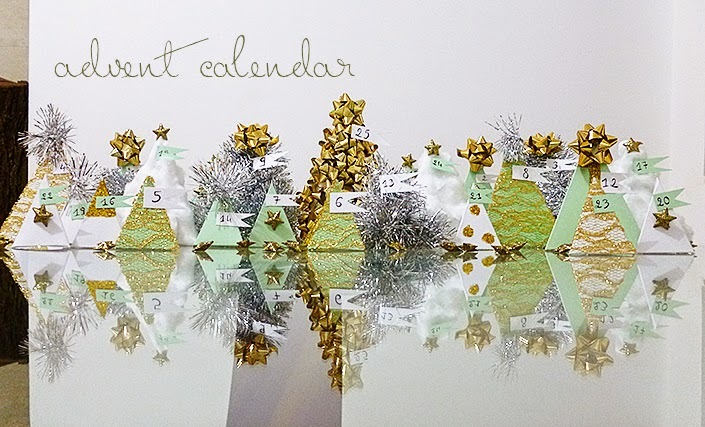 Ever since I was a little girl, I have received an advent calendar each year, one month before Christmas. Like many of you, I love to get up on the morning and eat my delicious chocolate. This year, I’ve decided to make my own, and to use it to decorate my living room. 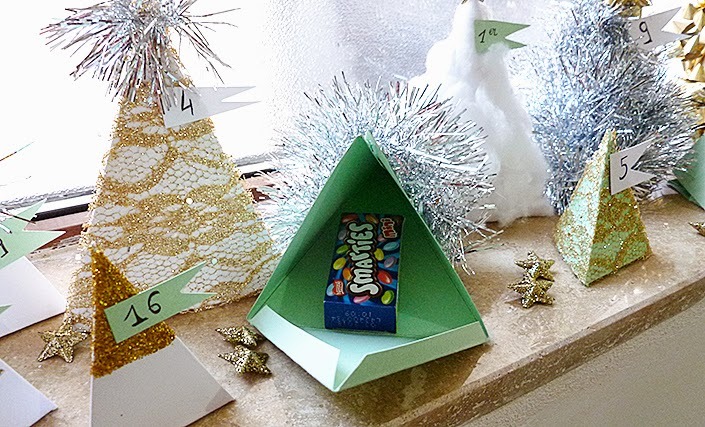 I must confess that the small December treats have lost their appeal over time, and I prefer a decorative “calendar” to bring the Christmas spirit to my home. 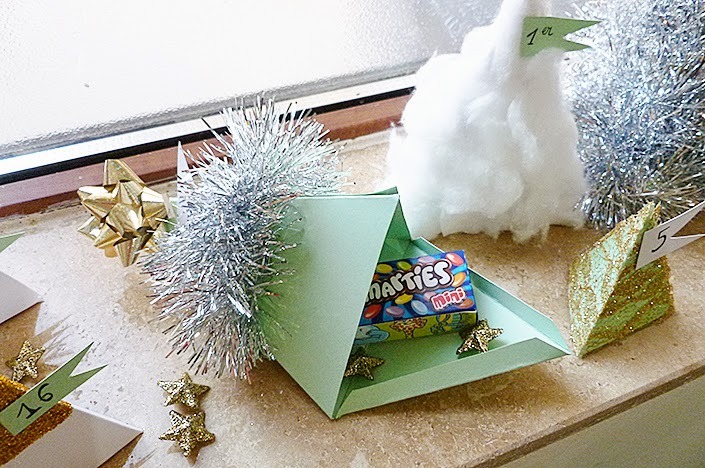 Therefore, I’m sharing with you this cute DIY to make your own enchanted forest. – First, you will have to make a pattern. 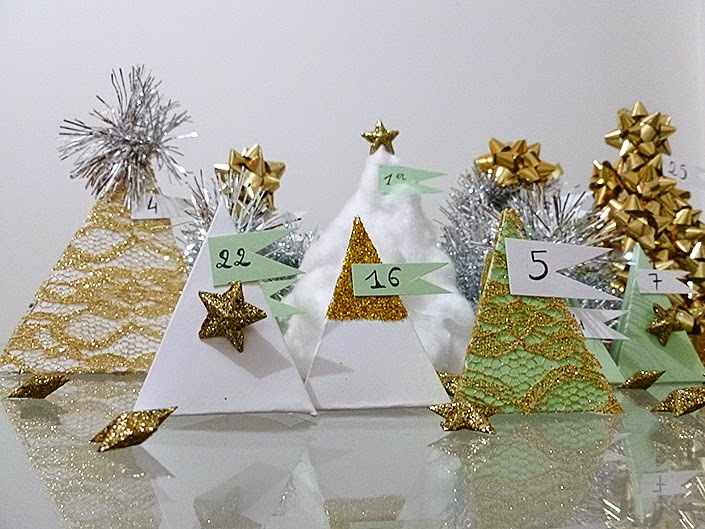 Draw an isosceles triangle (here, the sides measure 12 cm and the base 9) on a piece of card paper and cut it. 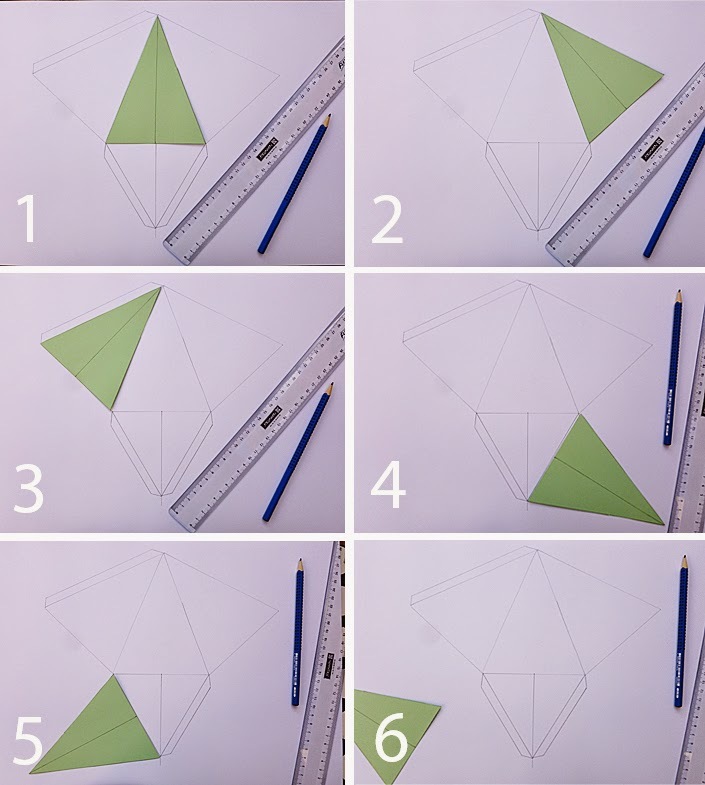 – Using this triangle, draw a pattern as I show you with the pictures below. – Add flaps to be able to close your pyramid. 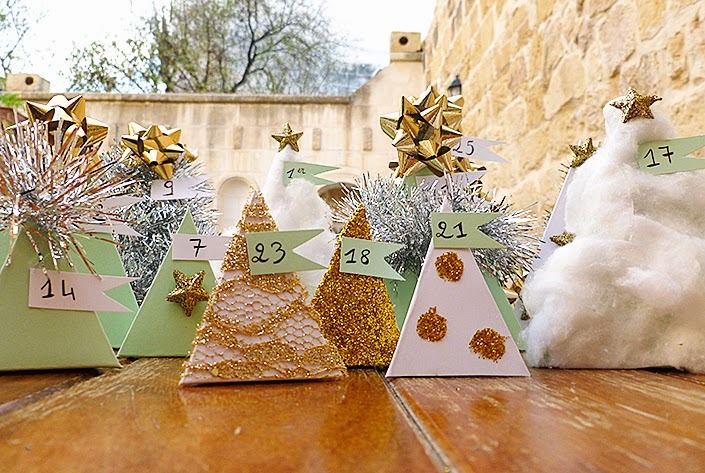 – Then, you will have to use this pattern to make several pyramids (25 for an advent calendar). Put it on your card paper and draw around it to be able to cut your pyramids. – Fold on the lines, then fold a second time the other way round so that the pencil marks are inside the pyramid, therefore invisible. 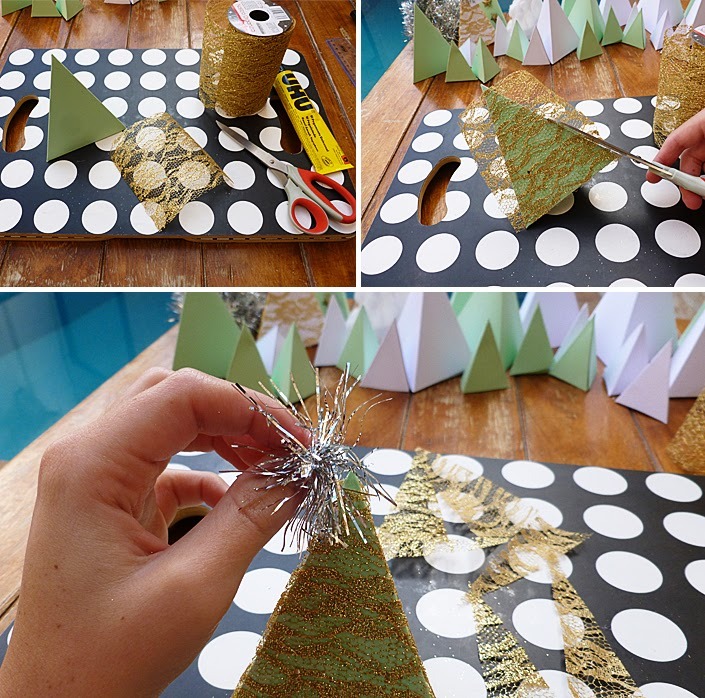 – Apply glue on the big flap on the side and put your pyramid together. Wait a few seconds and add chocolate or sweets inside it, and glue the base. Yay, only 24 left ! Honestly, I don’t know how I should call that, but I’ve found this decorative paper in a Christmas shop. It looks like a golden mat, and I think it is used to make a table runner for a Christmas eve dinner. 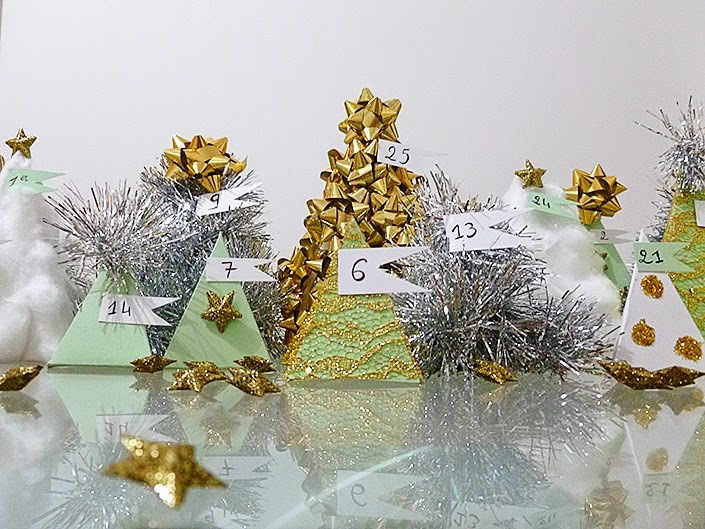 Anyway, it was perfect to decorate my paper trees ! 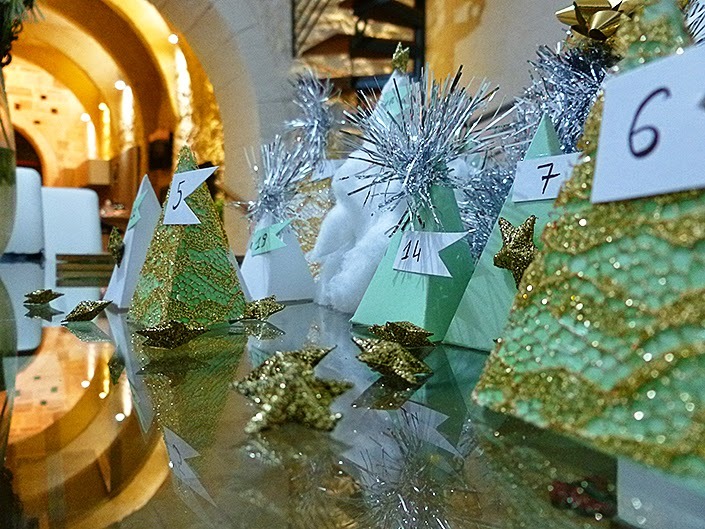 – Apply glue on the whole face of the pyramid, put a piece of “table runner” on it, and cut the tips. Do the same for the two other faces. 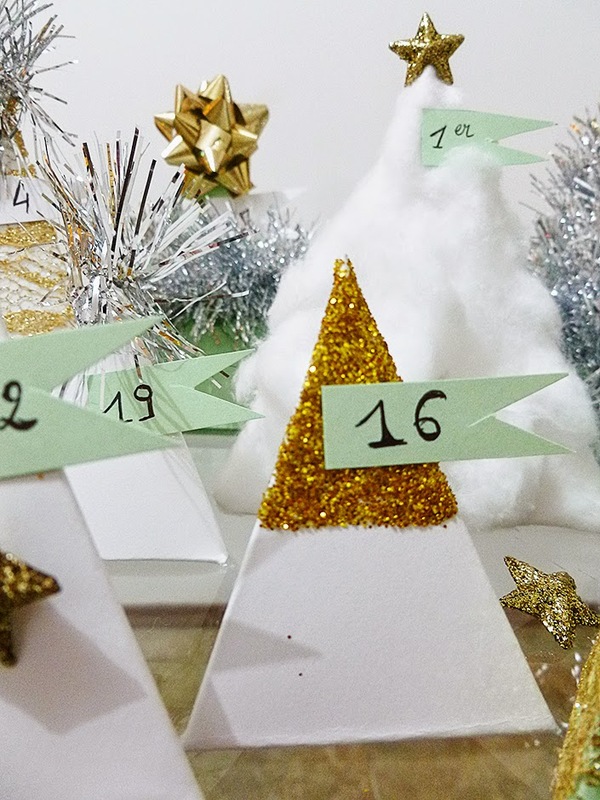 – Finally, I glued a little piece of garland at the top of the tree. – Apply glue on the thre faces of the pyramid. Cover it with cotton. 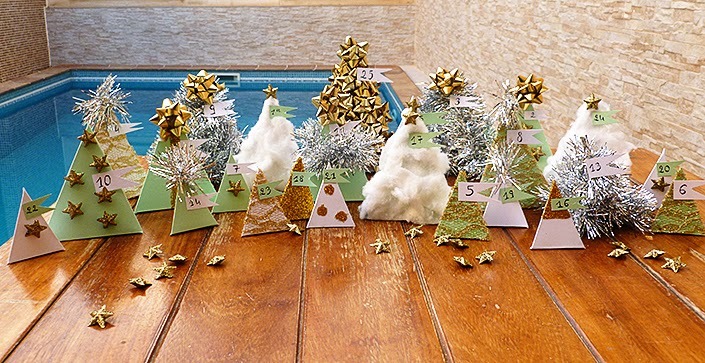 Once dry, slightly pull the pieces of cotton to add some volume and to give this “snowy look”. 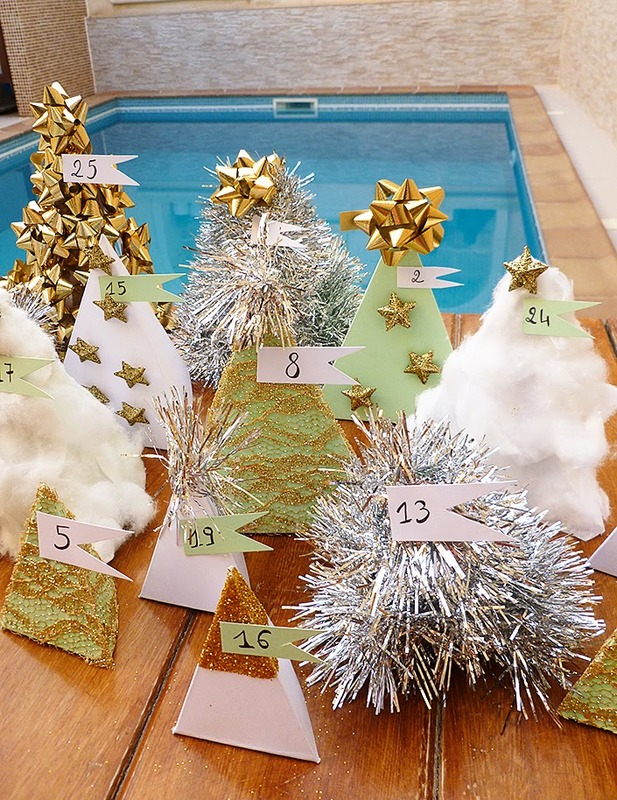 – Start by rolling the garland around the pyramid to verify which length you will need. 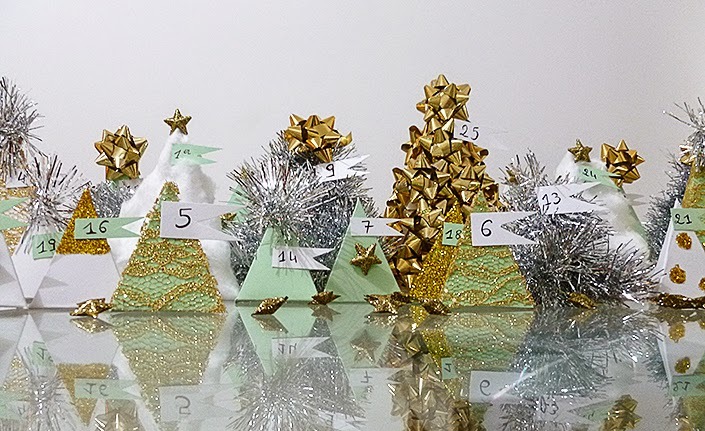 Cut your piece of garland, cover the pyramid with glue and roll the garland around it again. In 10 seconds, you’re done ! 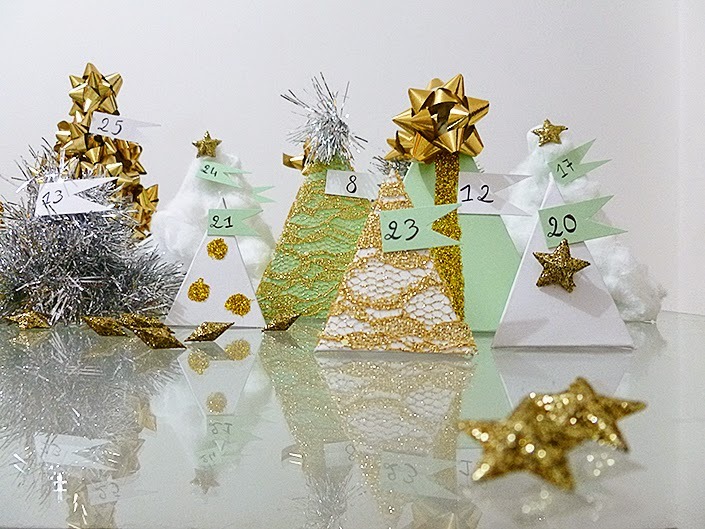 If you create your own advent calendar, share pictures on social medias and tag me so I can see it !